Essential oils are, for me, miracle healers. Essential oils are oils derived naturally from seeds, roots, stems, and flowers. They are strongly aromatic and have enormous healing qualities. There are so many oils that do various wonderful things for our bodies. What Are the Best Essential Oils for MS? 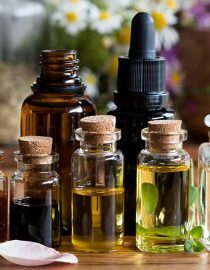 If you’re looking for the best essential oils for MS, keep on reading below to discover which ones you should be trying and their benefits. Relief from respiratory ailments. Can be applied directly to the chest or in an essential oil diffuser for relief from common respiratory problems. Pain relief. Regular massages with lavender help relieve joint pain. Relaxation and sleep aid. Add a few drops to your bath water to help with restlessness, tension, and insomnia. You can also rub some on your palms and bedsheets. I used lavender oil in a humidifier to keep her calm and help her sleep at night. Headache relief. Use a few drops with a carrier oil (coconut, jojoba, etc.) and rub on temples. Mental focus. Rub a drop under the nose or drop directly on the tongue for an instant boost. You can also add 10-15 drops to 300mL of water in a spray bottle. Spray on clothing as needed for an all-day boost of clarity and focus. Aids in stress relief. Inhale directly or place a drop under the nose. Nausea relief. Mix 1-2 drops with coconut oil and rub behind ears, inhale or use in a diffuser. Peppermint oil can also be used as a natural breath freshener, weight loss or allergies, as well. Promotes the absorption of nutrients from food. Aids with viral infections such as cold or flu and works as an expectorant. As I previously mentioned, I used frankincense oil to help reduce my mother’s blood pressure. Please note, that I spoke with a registered nurse, and since my mom was in hospice care, her medicine use was not a priority. Pain relief. Frankincense is shown to have a positive effect on arthritis and rheumatoid arthritis. Because essential oils tend to evaporate, they are best used with carrier oils if you are using essential oils for massage purposes. Carrier oils are usually a type of vegetable oil. The most common (and my personal favorite) is coconut oil. The only drawback I have found with using coconut oil is that it is greasy. Store in a cool, dark place and check them before use to be sure they have not become rancid. You might also like...What Multiple Sclerosis Treatment Options Are Available? There are many essential oils on the market that provide endless benefits. It is always recommended to consult your physician before changing any regiment. MS affects each of us in different ways, and we may not all respond the same to treatments, especially essential oils. They should not replace any medications but should be used to enhance whatever treatment methods you are using. Hair. Adding a few drops of peppermint oil to your bottle of conditioner provides a fantastic cooling tingle that promotes hair growth and overall healthier hair. Skin. Making a facial scrub with your choice of essential oils with fine rock salt or even sugar has noticeable cleansing effects. Also try on your lips, especially in the upcoming winter months. Insects. You can even rid your home of pesky ants and spiders with peppermint oil. Should You Try Essential Oils for MS Symptoms? Any substance, natural or otherwise, carries risk. Some risks of essential and carrier oils include allergic reactions, toxicity (to children and pets), and hormonal disruption. Essential oils can be very potent so when applying directly to the skin, watch for skin irritation, and severe rashes. It may take a few tries and combinations to find what works for you. Always talk to your doctor or other health professionals to get advice. Some essential oils should not be used with various health conditions. In our battle with MS, it is always good to try new things, especially when they provide the benefits that essential oils offer. Do your research, be safe, and above all, have fun!